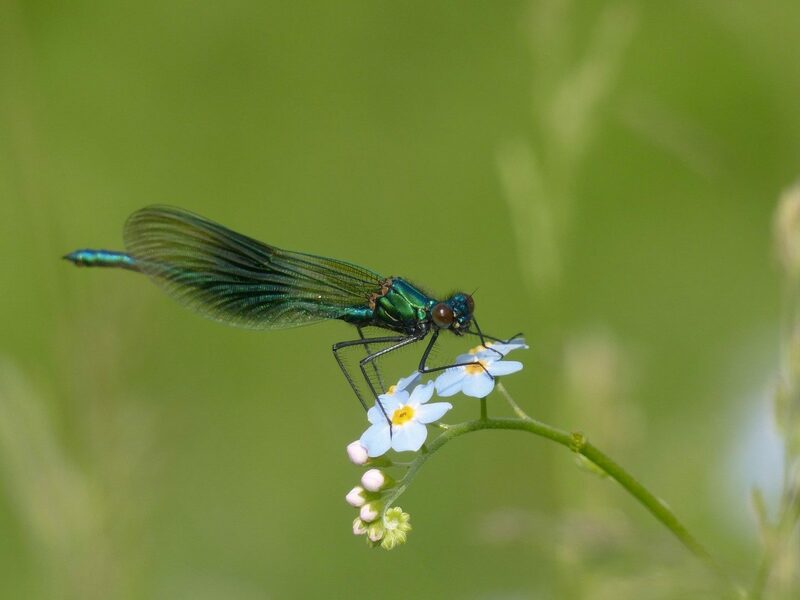 A new species of dragonfly was added to the list for SWSEIC’s office at Kirkgunzeon last week with the discovery of the scarce Banded Demoiselle Calopteryx splendens in the nearby burn. Banded Demoiselles are very scarce in Scotland, known from only a handful of sites in Dumfries & Galloway. The first breeding colony found in the region was discovered in 2004 on the Kirkgunzeon Lane burn which flows through Dalbeattie, and though it has been found at a few other locations since this time, the Kirkgunzeon Lane is still the place where it is most frequently recorded, often in good numbers. Despite this apparent strong population, it had spread only a little way along the burn, and had not been recorded north of the A711 until last week. The species was spotted by Mike Bolam on Sunday in a Kirkgunzen garden and the next day by the SWSEIC manager by the Kirkgunzeon Lane burn outside the office. 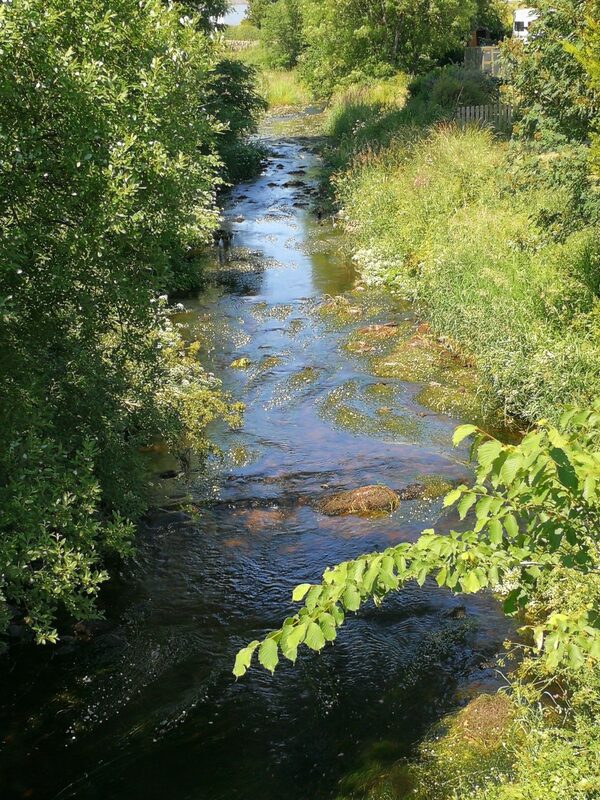 A quick survey along the burn the following day by Mark Pollitt and SWSEIC volunteer Christine Dudgeon found 7 males along the burn running through the village. This is almost 3km from the colony at Edingham/Dalbeattie. The search also turned up 2 males of the locally uncommon Variable Damselfly Coenagrion pulchellum. We hope the females find us too and breed successfully, and we will be looking out for them next year. This summer seems to be a good one too for some of our other scarce insects, with a number of good discoveries. Pearl-bordered Fritillary Boloria euphrosyne was confirmed at a new site near Gelston by Sean Clayton. Thanks to some good work by Sean and others the site was saved from imminent forestry work pending further appraisal of the site’s ecological value so that any work may be undertaken with minimum harm to this and other species on site. 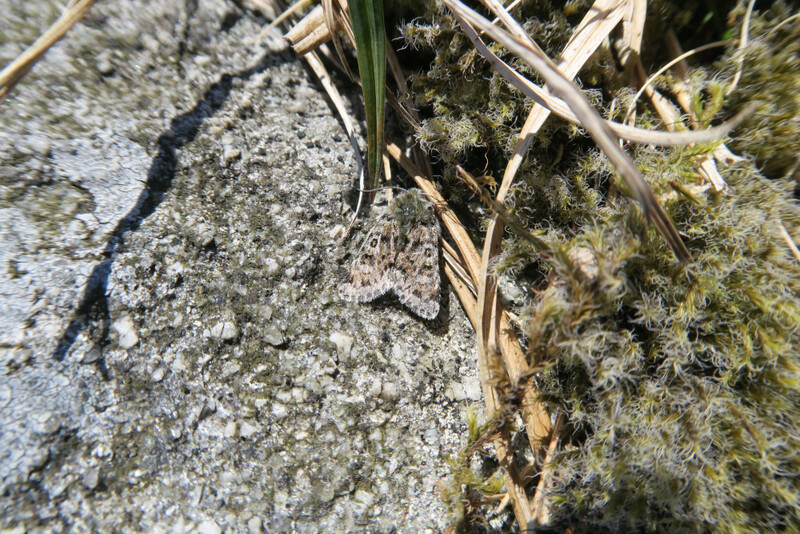 Local moth recorders Richard and Barbara Mearns have been out hunting the uplands for a scarce moth species recognised as a priority species in the Local Biodiversity Action Plan. The Broad-bordered White Underwing Anarta melanopa is an upland species and had not been recorded for over 20 years in D&G until 35 individuals were found by Richard and Barbara on Cairnsmore of Carsphairn in late May this year. 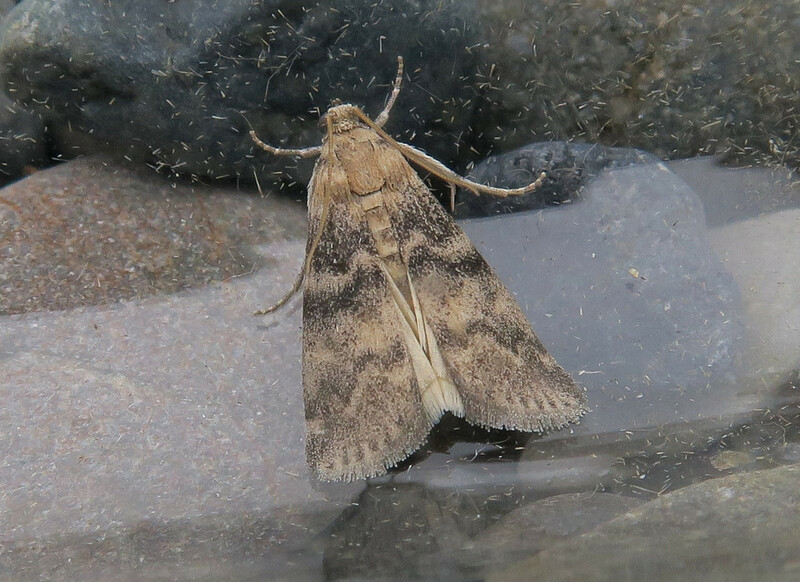 They have also recorded the Ash-bark Knot-horn Euzophera pinguis on the Machars coast, a micro-moth not previously known from Scotland as far as we are aware. Other moth recorders have also been reporting good catches and interesting finds.